The A129 Duo has won its own place in our hearts as the first affordable dual-channel setup to offer superior 1080p day and night video from both the front and rear cameras. The A129 Duo has other selling points: integrated GPS, and a supercapacitor that will actually keep the camera alive for a couple of seconds after power is removed. There are a couple of exceedingly minor caveats, but overall, the A129 is a very sweet deal. 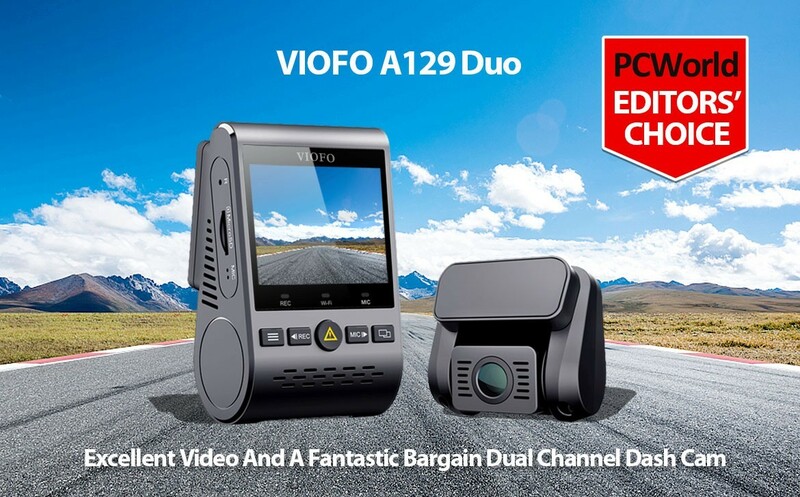 Jon from PC World just published the reviews for VIOFO A129. We are glad to see the A129 Duo meet the high expectation. And Jon marked it is the one of the best dual channel dash camera as it delivery excellent video and it is a fantastic bargain.